Home > geopolitics > Is China Friend or Foe to Trump on North Korea? Is China Friend or Foe to Trump on North Korea? China is North Korea’s biggest trading partner and the only real friend North Korea has in the world. It is also an economic behemoth with its own ambitions of global dominance. In recent years China has flexed its foreign policy muscles, paying for major infrastructure development in Africa, Pakistan and the Caribbean. Its diplomacy budget has almost doubled since Xi took office in 2013. Many believe China fears that a successful Trump negotiation could lead the U.S. to replace China as North Korea’s top ally. 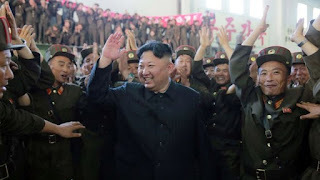 Its government “does not want a reunified Korea, indebted to Washington, sitting just across its border,” Richard McGregor, senior fellow at Australia’s Lowy Institute, told CNN in May. So where does China’s government really stand on the U.S.-led denuclearization of North Korea? Our project examining China’s view of the U.S-North Korea negotiations is part of ongoing research into the domestic media coverage of global affairs in Russia and China, two countries that contest America’s dominance in the current world order. We read China’s position on the Trump-Kim process as delicately balanced between defending its Korean ally while signaling its respect for the international community. Chinese media makes sure to report North Korea’s side of the argument, tacitly supporting Kim Jong Un’s need for security while questioning American intentions in the Asian region. Because China’s government essentially controls the media, the narratives that emerge around certain issues offers insight into what may otherwise be unspoken official policy. When Chinese media does denounce aggressive North Korean military actions, such as intercontinental missile tests, the articles usually go on to portray the United States’ anti-ballistic missile systems and joint military exercises with Japan and South Korea as far more destabilizing for the Asia region. China opposes “any strategic military deployment by the U.S. that will cause threats to China’s security under the excuse of dealing with the peninsula situation,” declared China’s Global Times in 2016. 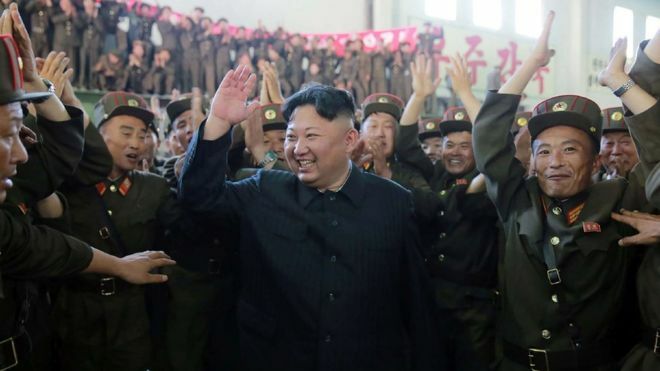 After North Korea’s nuclear tests in fall 2017, for example, the U.N. unanimously adopted severe economic sanctions that further isolated the regime. China criticized U.S. rhetoric about Kim’s regime as overheated, but ultimately signed off on the sanctions. In Chinese media, such actions – defending North Korean sovereignty while supporting the international community – confirm China’s role as a fair arbiter. China sees itself as perhaps the only nation appropriately balancing North Korea’s economic needs with the world’s security concerns. For Chinese media, this confirms China’s importance in global diplomacy. When President Trump said that “China has aided efforts with North Korea,” his comment was widely quoted. Ultimately, our analysis finds that China’s global aspirations have not yet led President Xi to openly dispute American leadership in resolving world conflicts. Chinese media has even praised President Trump’s June 6 summit with Kim, saying it warmed relations between the nations and laid a foundation for further progress toward peace. The Chinese government may well work “on both sides towards this goal,” as Foreign Ministry spokesperson Geng Shuang said in a December 2017 press conference.